This lovely deciduous fern is the purple stemmed Royal Fern, which also has purple flushed new croziers in spring. It does not grow as tall as Osmunda regalis. Native and a lovely addition to the garden where it enjoys really moist ground and prefers a soil on the acid side of neutral. Often called the Flowering Fern as the fertile fronds have a flowery appearance. Excellent for autumn colour too! 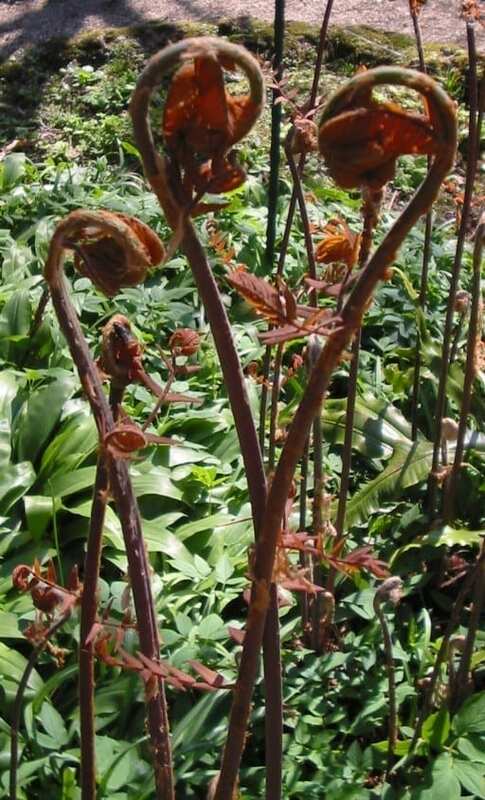 Leave the collapsed fronds to protect the crown in winter, then tidy them away in early spring as new growth appears. Divide in early spring or collect spores from the fertile fronds in winter and sow fresh.